I am trying to get the Ternary Series to compile. I have attached my code, based on the example in Features. No errors are reported but it throws up an error in TeCanvas, to do with TextOut. I would be grateful if you could take a look at this. I find no errors with the attached project in RAD 10.3 Rio and TeeChart v2018.26. Thank you for your comment and suggestions. I apologise for not sending the complete project. However, I managed to get it to run by adding VCLTee to Unit scope names in Delphi Options | Library. That error seems to suggest you don't have the latest TeeChart packages installed in Berlin because the HoverElement property was introduced in v2018.26. Anyway, you should be able to manually edit the .dfm and remove the line where the HoverElement property is used. then you should be able to load the form without problems. 1. When I run TeeRecompile I initially get this error. I ignored this as I am not using any C++ projects (and the link provided is not helpful as I do not have a current subscription for Delphi XE10.1). If I manually copy VCLTee.TeeHtml.dcu from Steema TeeChart Pro VCL FMX Source Code 2018.26\Compiled\Delphi24.win32\Lib to \Source\VCL then this error is replaced by another missing dcu. If I specify Steema Software\Steema TeeChart Pro VCL FMX Source Code 2018.26\Source\VCL as the folder to Copy binary files to, then your test program compiles and runs. It is not obvious that I have to do this, as there is no documentation on TeeCompile at all (INSTALL.TXT is not present). 2. Somewhere in the process of installing the latest version of TeeChart, something has broken in my regular programs. I get the following error when loading forms that use VCLTee components. Have you any ideas what might have gone wrong here? I have solved the problems with some forms containing TeeChart components not opening. Evidently a component library had to be rebuilt before these forms would work. Many apologies for any inconvenience caused. The error indicating "could not create output file ..." suggests a lack of permissions. If you still have problems, I'd try running TeeRecompile "as administrator". 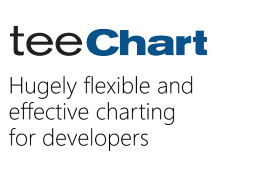 If you still have problems, I would try to reinstall TeeChart using the "..\Compiled" Relative Destination as per default, and "as administrator" to avoid permissions limitations. Great! Don't hesitate to let us know if you still find problems with it.